Just released Software Update Enabler 2.0 now with Snow Leopard support, a simplified UI and the ability for non-administrators to authenticate to set the update server. If you’re using Snow Leopard or a Snow Leopard Software Update server you really want to grab it now! Mac OS X Leopard added a lot of new features in the Crash Reporter giving much better crash reports in a number of situations. One of these enhancements you’ll see in applications like DashboardClient is that crash logs can contain an “Application Specific Information” section, with any text that application wants to appear in the crash log. Naturally the ability to add information to the crash report is currently Apple-only secret sauce. So how do they do it? First up let’s take a look at what the application specific information looks like in a crash log. Further information with the usual backtrace and image information is shown below this part of the crash log. Aha! Here we’ve got a symbol that looks pretty likely. It’s a data symbol (the D after the address) not a function symbol so it’s not something we need to call to tell the crash reporter something. Given that this seems to be a data pointer let’s take a logical jump that it’s probably going to be a pointer to some data: most likely the string of data that will be displayed in the crash log. Given this assumption, it’s time to try some code. *  Created by Andrew Wellington on 27/12/07. *  Copyright 2007 Andrew Wellington. All rights reserved. Note that we’re linking to CoreFoundation as that’s the framework that contains the crash reporter symbol. If you don’t link to CoreFoundation the symbol lookup will fail and return NULL. Our test crashed as expected, now did it create a crash log with the information we’re expecting? Open up Console from the Utilities folder then find the crash log for “crashinfo”. Excellent, we’ve found our crash report and the application specific information is there. So it seems all we need to do is set the symbol to a pointer to a standard C string containing the information that we want. Other frameworks might try and overwrite this value. If you do decide to use this, keep another reference to any dynamically allocated memory. This way you can free it if another framework overwrites the pointer and doesn’t leak memory. You probably should limit any use of this feature to a subset of Mac OS X versions. At the very least you should only do this for Mac OS X 10.5 (on older versions the symbol either won’t exist, or it might do something totally different, and newer versions could be totally different again and this is an undocumented trick). If another framework overwrites the data you might not get your application specific information so you still need to be able to extract as much information from crash reports by yourself as you can. This can provide more information than before, but it’s certainly not guaranteed to be there. * the right to change it at any time. 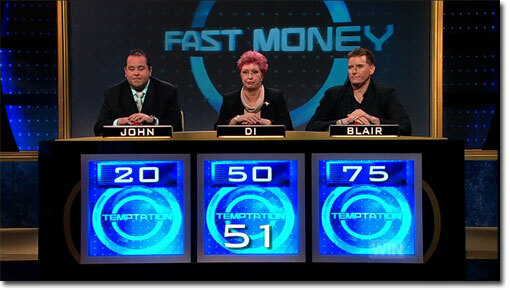 How often do TV Game Shows get the answers to their questions wrong? Question: Jane Bennet finally marries Mr Who in Pride and Prejudice? Of course anyone who has read Pride and Prejudice would know that Jane Bennet married Charles Bingley, and it was Elizabeth Bennet who married Mr Darcy. With a simple mistake like this in the show, and an easily verifiable question at that, you’ve got to wonder how often they get it wrong. You can grab it from the Software Update Enabler page. Scott Stevenson recently talked about Cha-Ching. Cha-Ching is a “money manager”, or so Midnight Apps say. After Scott’s praise, I thought I’d take a look to see what all the fuss was about. Unfortunately, it seems the Midnight Apps crew don’t quite understand the concept of floating point numbers and how they’re stored. A floating point number can not accurately store every base 10 number you can write down. The IEEE 754 floating point standard stores single precision floating point numbers as a sign bit, an 8-bit exponent, and 23-bit mantissa. While I don’t have the time to explain floating point completely, suffice to say a simple value like $5.10 can’t be accurately represented with a binary floating point number. There’s a heap of information about floating point arithmetic in a classic paper What Every Computer Scientist Should Know About Floating-Point Arithmetic. It seems someone brought to the attention of the Midnight Apps team this problem in a forum thread and they now say this is fixed: I’m betting (and I haven’t seen a fixed version to be sure) that all they’ve done is apply a data formatter to that text field. This just masks the problem, the transaction will still it appears be processed as a floating point value, and that’s not something one does with monetary values. The preference option for “encryption” of the database that does nothing of the sort. What it actually does is set a preference “ShouldEncryptDatabase” in NSUserDefaults and stores the password in the keychain (!!!). The data file is left in clear text in a happy happy XML document. You can edit the password Cha-Ching will require by simply modifying the keychain entry, or remove the need entirely by changing the “ShouldEncryptDatabase” flag to no. Ironcoder was on again last weekend with the API Core Image and theme Space. I finally got enough time to actually write an entry this time which was the first runner up (woot!). There were a lot of cool entries, enough to keep me entertained for a few hours at least. You can download all the entries from the Ironcoder site. Big thanks to Mark Dalrymple for the awesome organising, I’m sure Jonathan Wight will do just as awesome a job as chairman next time. Today was System Administrator Appreciation Day. Did you give your sysadmin something? Or did your users give you anything?